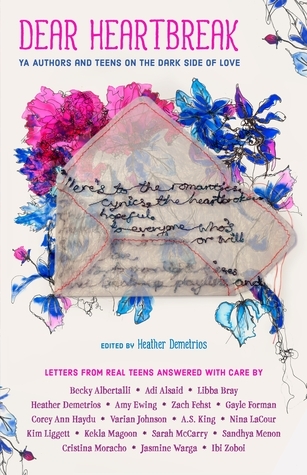 Heather Demetrios is a critically acclaimed author of young adult contemporary and fantasy novels. When she isn't spending time in imaginary places, you'll find her traipsing around the world with her husband, writer Zach Fehst. Heather has an MFA in Writing from Vermont College of Fine Arts and is a recipient of the PEN New England Susan P. Bloom Discovery Award for her debut novel, Something Real. Her novels include Ill Meet You There, Bad Romance, as well as the Dark Caravan fantasy series: Exquisite Captive, Blood Passage, and Freedoms Slave. Shes the editor of Dear Heartbreak: YA Authors and Teens on the Dark Side of Love and the author of Codename Badass, an upcoming feminist pop biography about WWII lady spy, Virginia Hall. Her honors include books that have been named Bank Street Best Childrens Books, YALSA Best Fiction For Young Adults selections, a Goodreads Choice Nominee, a Kirkus Best Book, and a Barnes and Noble Best Book. To find out more about Heather, go to heatherdemetrios.com. Tweet to @HDemetrios.